Its atmosphere and environment, thoughtful family hospitality, competitive prices, impeccable services and modern comforts have endeared it to the holiday makers. 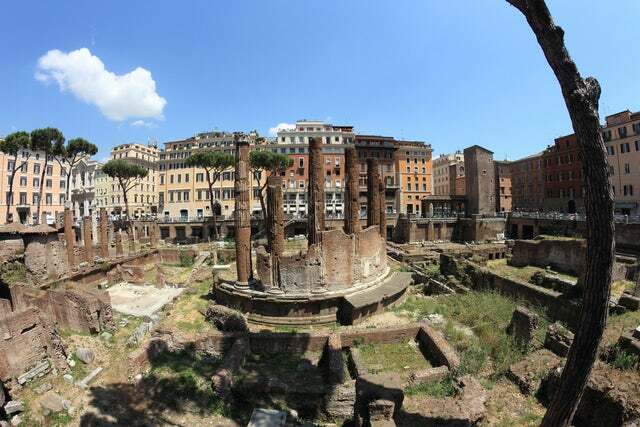 The Pensione Barret Hotel overlooks the famous archaeological site Largo di Torre Argentina. It is one of the few Rome hotels that give the view of an important historical monument. Its atmosphere and environment, thoughtful family hospitality, competitive prices, impeccable services and modern comforts have endeared it to the holiday makers. The hotel was renovated in 1929 and started inviting guests into its 20 rooms in the same year. All the rooms will contain luxury amenities such as a separate private bathroom, a jacuzzi that is equipped with hydro massage, internet connection, telephone, minibar, television, iron and iron board, hair dryer, in-room safe, shoe shine machine, air conditioning, individual climate control, and sound proofed rooms. For your breakfast, you will be glad to know that each of the rooms features Lavazza breakfast system that allows you to prepare your choicest coffee, hot chocolate or camomile tea. This can be had with croissants and sandwiches. For some evening entertainment, you can go to the tower and to the theater. Here you will catch the latest Italian acts and music performances. Trust me; it will be your best experience yet. From the comfort of the hotel, you can explore many of the Rome’s attractions and points of interest. Your dining experience will be nothing you have had before. The Italians take their culinary very seriously. Be sure to sample as many of their delicacies as you can. Sounds impressive? Well, it is. Where else can you enjoy the view of a historical monument from the comfort of your hotel room? Make a reservation today and see your small travel budget work wonders. You can also click here to see what others are saying about the hotel on Trip Advisor.